"Spouses without Benefits: “Ring-Fencing” Marriage after W and QT Have Unbolted Its Gates?" 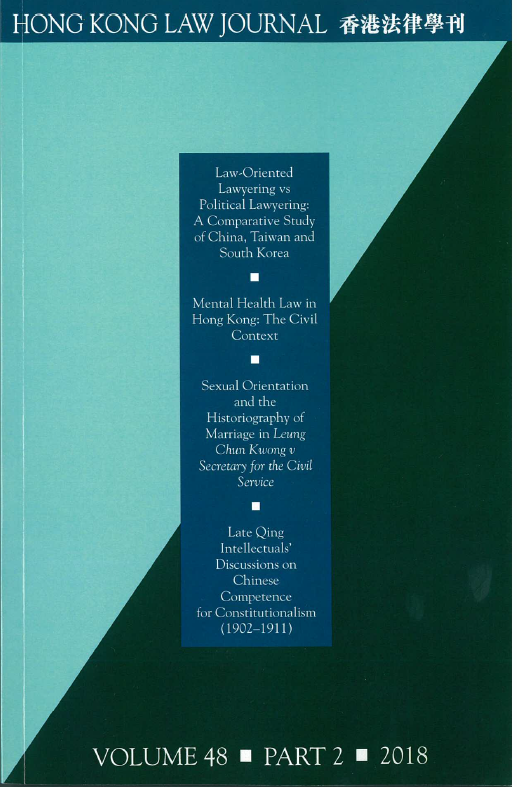 Abstract: In “ring-fencing” all putative benefits closely connected to heterosexual marriage, the Court of Appeal (CA) in Leung Chun Kwong v Secretary for the Civil Service rewrote art 37 of the Basic Law, which according to the CA now provides that the traditional conception of marriage is “guaranteed by the Basic Law” and its “traditional, historical, social, moral or religious background and values [are] embedded in article 37 of the Basic Law”. In doing so, the CA has completely ignored the sole precedent of the Court of Final Appeal (CFA) on art 37 — W v Registrar of Marriages. Remarkably, Leung Chun Kwong is even inconsistent with the CA’s own decision in QT v Director of Immigration, and it is now even less defensible after the CFA’s latest word in QT.